Feasting on a delicious dinner is an essential part of any bachelor party. You need to eat and gain energy before heading out for a night of debauchery and a bachelor party friendly restaurant is the perfect place to do it. 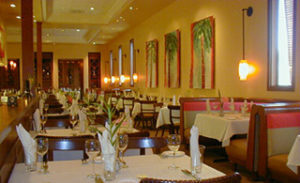 There are many options to choose from to satisfy all cuisine tastes. Here we’ve compiled a list of the top bachelor party friendly restaurants in Las Vegas. Located in the LINQ on the Las Vegas Strip, Yard House offers an innovative menu of favorite American dishes and globally-inspired flavors. They also serve up a variety of new craft, imported, and local beers, including the famous Chalkboard Series. 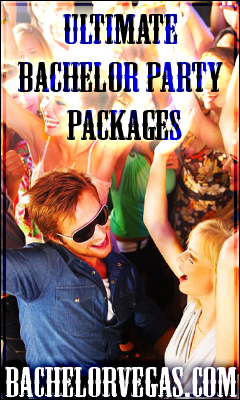 Bachelor parties can stop in for a delicious dinner or for endless drinks. Yard House encourages walk-ins for parties of all sizes. Reservations are also available. Grand Lux Café is an upmarket café situated in The Venetian Las Vegas. Open 24 hours a day, the café offers an extensive menu of breakfast, lunch, dinner, and snack options. Choose from a variety of yummy selections, from pizza and seafood to burgers and pasta. They also have a wine list that includes options from all regions. Our next choice for top bachelor party friendly restaurants is Firefly. 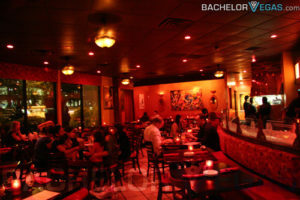 This popular Spanish eatery is known for their mouthwatering tapas and cocktails served in a lounge-like setting with optional patio seating. Bachelor parties can stop in starting at lunch time for something delicious from the kitchen or bar. Gordon Biersch is a chain hangout featuring an extensive pub menu and house-brewed, German-style beer. Located in Las Vegas’ “Restaurant Row”, this popular eatery has many great selections to choose from, such as their Legendary Garlic Fries and Beer-Braised Steak Tips. If your group is into Italian cuisine, this next restaurant option is sure to satisfy. 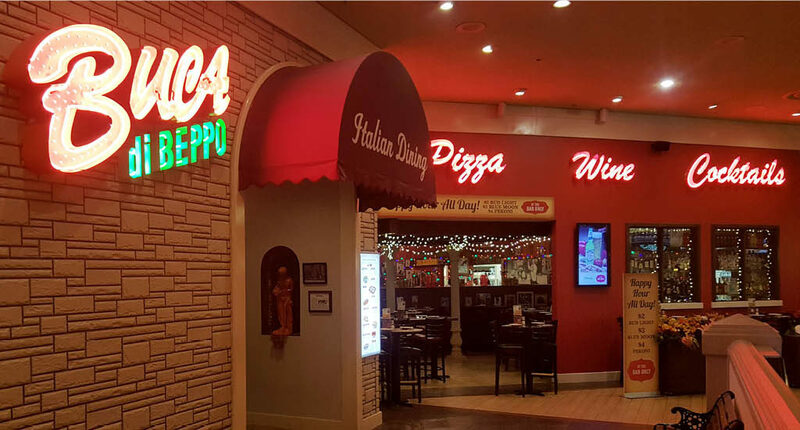 Buca di Beppo serves up authentic family-style Italian food in the heart of the Las Vegas Boulevard. 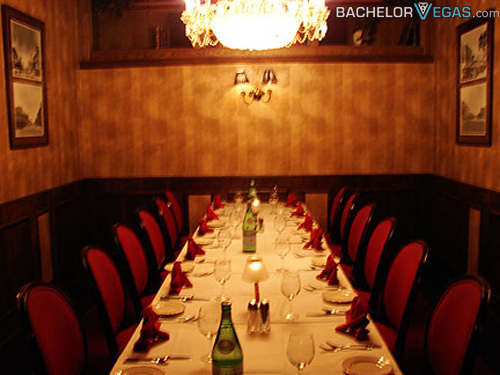 Bachelor party groups can reserve a table for dinner or reserve one of the restaurant’s semi-private dining rooms for a more private dining experience. Roy’s is a high-end chain that serves food inspired by Chef Roy Yamaguchi’s Hawaiian fusion fare. The contemporary restaurant is known for their delicious rolls, such as their Tempura-Crusted Ahi Roll or Vegetable Caterpillar Roll. If you love seafood, steak, or sushi, stop by Roy’s for inspired bites or a cocktail during Aloha Hour. Many bachelor party groups gravitate towards steakhouses for a mouthwatering slab of meat. The Golden Steer Steakhouse is a combination restaurant, bar, and lounge that offers steak, seafood, and wine in a vintage-style environment. The Golden Steer is Las Vegas’ oldest steakhouse and the perfect place to host a bachelor party dinner. 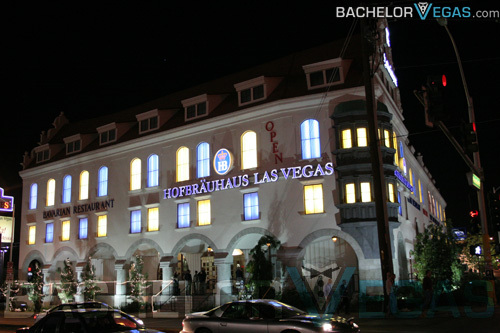 Hofbrauhaus Las Vegas has a lively Oktoberfest atmosphere and serves up traditional German food and brews. Diners will discover a delicious Bavarian menu with options like Potato Pancakes, Bavarian Sausage Salad, and Roast Pork Sandwich. Party-goers can also enjoy live entertainment every day of the week. Dell Frisco’s specializing in prime steaks and seafood. 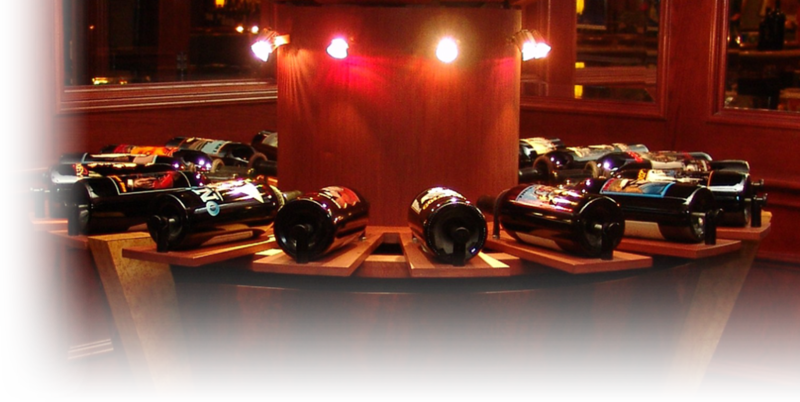 They also have a wide selection of fine wines. This fine dining restaurant is just steps away from the Las Vegas Strip and features eight private dining rooms and a unique James Bond Table. If you’re looking to host your bachelor party dinner in a distinct location, this is it. Texas de Brazil is an upscale eatery that offers diners all-you-can-eat grilled meat that is carved tableside for optimal freshness and taste. There is also a salad bar where you can complement your meals with crisp, fresh fruits and veggies. Stop into the Brazilian Steakhouse for lunch, dinner, or for Happy Hour at the bar.